From this list its clear that many causes of breathlessness can be ruled out with a quick history and a basic physical examination. Often we are left with just a small number of possible causes. But without access to investigations and the opinion of a specialist or two, it is often difficult to make the final diagnosis or diagnoses, however with a bit of knowledge and experience it is possible to narrow down the potential causes and safely treat the patient. To illustrate this we have been granted permission by Monica Piris to publish a letter that she wrote to a colleague about a mountaineer who developed breathlessness on Mt Everest. In her email to STDZ Monica wrote, "the salient points of this case were how close this guy came to death and how utterly EPIC it proved to get him off the mountain (which I don't do justice to). So much man power and so much collaboration from several teams on the mountain". As you'll see, Monica was concerned that the initial diagnosis of HAPE may have been incorrect. From experience she knew that HAPE normally responds quickly to treatment, writing, "despite 2000m of descent in 24 hours he really hadn't improved in the normal flick-of-a-switch way". Throughout the course of managing the patient she remained alert to the possibility of other conditions and never felt that she really got to the bottom of the problem. An experience many of us who've practised mountain medicine can relate to! However her experience, skill and desire to go the extra mile meant that the patient received the best possible care. "A was not one of Alpenglow’s clients, but he was friends with one of our guides and hung out at our camp now and again which is why our team got involved. A was a professional athlete and mountain guide and was attempting to climb completely unsupported. Unsupported to a degree which I thought was no longer possible! He didn’t really have a Base Camp and he just paid to be on a permit. 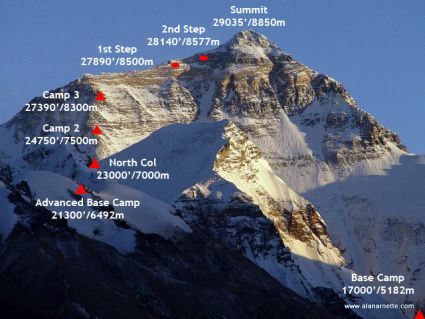 The team whose permit he was on, 7Summit Trek, left the mountain on May 21st, when A was still on his way up. The team leader passed A’s name onto another permit for a different team, Tag Nepal. 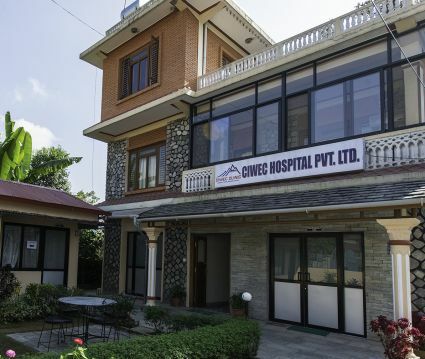 The leader of Tag Nepal was a personal friend of A’s. But when A ran into trouble, not only was he unsupported, but the official leader of his team (and therefore the person with a modicum of responsibility for facilitating his extraction from the mountain AND from Tibet) was no longer there. Up until this all happened, A had been incredibly strong. He had made numerous carries high on the mountain, had spent multiple nights acclimatising at high camps and had shown ample preparation. He became unwell on his summit push. 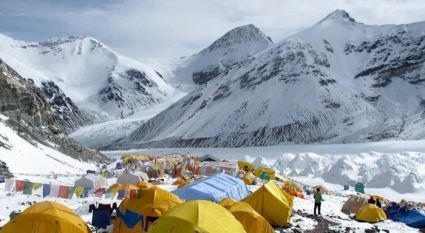 My understanding is that he arrived at Camp 3 (8300m) on May 22nd, having felt fine up until that point. He had a bad night there, with cough and some choking episodes, so much so that he decided to go down on May 23rd. His plan was to sleep lower (at 7800m!) and then go back up. I don’t know what time he left Camp 3. 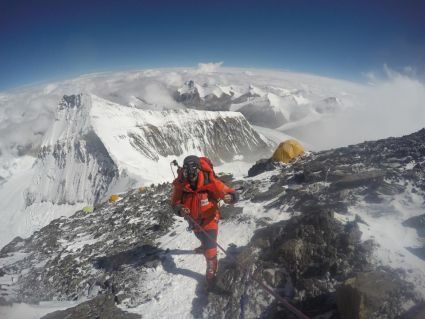 I got involved at 1300 hours on May 23rd when I received a radio call from Adrian saying that they had just passed A at around 7700m and were concerned that he was struggling. I then called the Chilean team whom I knew to be descending from around that altitude and as luck would have it that they were just about to pass him on their way down, and they stepped in. At that time A’s arterial oxygen saturation (O2 sats) were 42% (with no supplemental oxygen), he was unable to complete sentences and only able to take a couple of steps at a time. Under direction from their team doctor they gave A, nifedipine, dexamethasone and oxygen and tried to get him walking. Initially A was unable to tolerate the oxygen mask; my understanding was that it made him feel like he was suffocating even more. It took them a while of coaching to get him to tolerate the oxygen mask for long enough for it to make a difference. They then assisted him to descend from 7700m down to Camp 1 at the North Col (7000m). It was a slow painful descent. 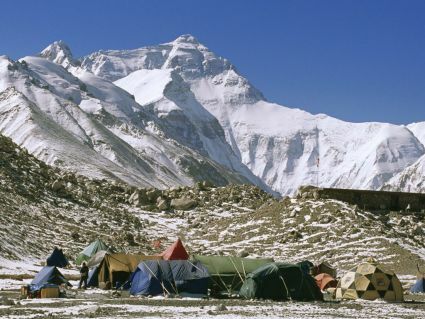 That day they reached Camp 1 well after nightfall at around 1800-1900. The Chilean team's doctor examined him and found bilateral crepitations and also some scattered inspiratory wheeze. There were no signs of HACE - mentation and coordination were normal. Nifedipine, bronchodilators and oxygen were given. Dexamethasone was stopped as there were no signs of HACE. A had a history of childhood asthma but it had never bothered him in the mountains before. A spent the night at 7000m with the Chileans, on 4l/min of oxygen, giving O2 sats in the 70’s. He had a rough night though with bouts of severe dyspnoea, which were worsened by an element of anxiety (understandable!). The following day (May 24th), A had improved clinically. O2 sats without supplemental oxygen were up to the 60’s but heart rate remained at 130 or more. He stayed on oxygen and was able to descend from the North Col to Advanced Base Camp (ABC) (6400m) with one of our guides. He arrived at ABC at 1550 on May 24th. O2 sats on 4l were 90% and heart rate was 126 beats per minute. Without oxygen his O2 sats dropped to 67%. He had bilateral crepitations throughout both lungs to the mid zones. There was a bit of wheeze, but not much, and air entry was reduced throughout. I gave him 1 litre of normal saline IV, and added oral sildenafil to his nifedipine. He had not taken any more dexamethasone as there were no signs of HACE. He had a bronchodilator to use every six hours. The night of May 25th was rough with episodes of confusion and agitation, coughing and dyspnoea. He was on oxygen 4l/min all night. In the morning, his O2 sats had improved and were consistently in the high 70’s and 80’s but his heart rate remained above 120 beats per minute and respiratory rate was 30-40 breaths per minute even on oxygen. Crepitations were greatly reduced, with just a few patches of scattered crepitations in both lung bases. The wheeze was gone. He had a cough, moist sounding but non productive. No fever. He felt a little better in himself, but walking anywhere, even on oxygen, was still a struggle ... he could make only 10m without a break. At this point, I was disappointed that he had not improved more, and was beginning to investigate options for getting him down to Base Camp (BC). Not sure if you know the north side of Everest. ABC to BC is an 18km hike first on the glacier and then the moraine. Uneven ground, lots of up and down. No helicopter evacuation possible. At best a human carry, or a yak are the only two options ... both of which could only be organised for the following day. We arranged for 6 porters to come up to assist A to go down and there was also a yak available. He spent the day in our camp at ABC but made little improvement, with numbers staying the same throughout the day. On May 26th he spent the night on oxygen again, slightly better than the previous night, but no real measurable improvement. We walked 100m down to the Tag Nepal camp. A was on oxygen and moved at a very slow pace. At Tag Nepal, the leader (A’s friend) Tendi was arranging for their team to leave ABC and was happy to take over getting A down. They also had a team doctor who then took over from me and accompanied A down to BC. He managed to descend on the yak. She told me later that it took them 8 hours (which is not bad ... it took me 5!) and that he remained tachycardic, tachypnoeic and with O2 sats in the low 80’s for the duration. She made the decision for him to be taken directly to hospital on arrival in BC. He was met by a Jeep in BC which took him directly to ... A HOTEL!!! I’m not sure whether that was a misunderstanding or a deliberate mistake on behalf of the Liaison Officer at BC. He went alone, with oxygen and said that he continued to feel better. The following day he was in Lhasa and flew to Kathmandu. I saw him 2 days later in Kathmandu. He was still breathlessness on minimal exertion, still coughing. He was then seen in the CIWEC clinic ... and he can tell you the outcome of his consultation there. Let me know what you think ... I’d love to learn from this. I was unsettled by how long it took for A to improve - was this because it took so long for him to get to proper low altitude? Or do you think there was something else going on? The doctor that saw him subsequently in the USA felt that the likely cause of his poor recovery was a lower respiratory tract infection. I still would put money on a pulmonary embolism. To my knowledge, A never had any further tests. He was offered further tests back in the USA but I have never heard anything more from him. I suspect he declined them." STDZ would like to thank Monica Piris for granting us permission to publish her letter.